In february 2004, when facebook was launched , No one can predict that facebook will going to be a largest social network of the world . Today, facebook has million of users, only because we are interested in others life.People from every age group are present on Facebook and the number of teens are more. 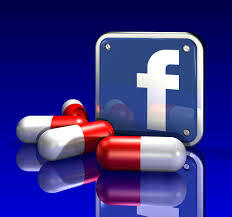 This have become one of our daily routine activity that we cannot live without Facebook now. 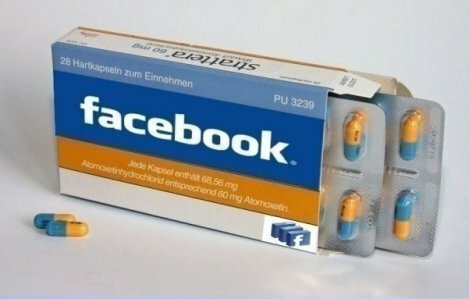 Facebook Addiction captured us so badly that if we are away from computer/laptop then we try to access this on our cell phone, tablets, palmtops or any other device. 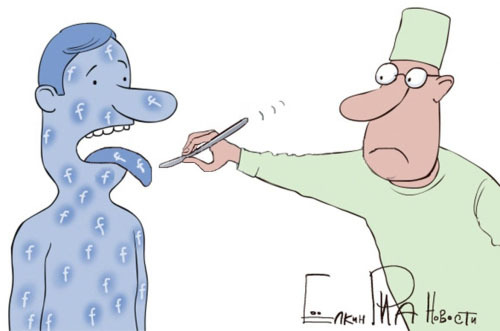 Scientist keep doing many researches on human physiological behavior and on their attraction towards facebook. Facebook and Internet addiction can have damaging effects, such as a decrease in our attention span — in fact, since 2000, our collective attention span has decreased by 40%. 1.Over Sharing:At a time when many netizens are concern over the issue of privacy online, it’s strange to find that there are still a number of us who voluntarily share our deepest secrets about our intimate lives on Facebook. It has perhaps a lot to do with the gratification of being acknowledged or approved by our peers. As I’ve mentioned in an earlier article, The Psychology of Facebook, such social affirmations by our friends in our network is a key draw of social networking sites. 2.Checking your Facebook Whenever Possible:This means checking out for any updates to your newsfeed or responses to your posts every time you don’t know what to do. In other words, the default choice for your freetime activity is to be on Facebook. So what do you do? You leave your Facebook open in the background, switching between work or assignments to the page every few minutes. Even when you are outside enjoying a drink with a friend, you log in to the Facebook app on your smartphone every now and then during brief moments of non-interactions. 3.Overly Concerned with facebook image:Have you ever spent more than fifteen minutes of your time thinking about what you ought to type for your status update? After you’ve decided on what you should update and posted it, do you eagerly anticipate how others will respond to it? This is what it means when I mention your ‘Facebook image’. To some extent, we are all concerned over how we project ourselves to the rest of the world, even when it comes to our online presence. 4.Reporting on Facebook:Most of us have seen friends in our network who almost certainly never fail to appear on our newsfeed each time we log on to Facebook. It could be some status update, check-in, posting of their photos and such. Their posts tend to be on very mundane matters, much like how someone reports to another what he or she is doing at any given moment. They report to you their daily routines (e.g. taking a piss), broadcast check-ins to uninteresting places like the street they live in, upload self-portraits and such. 5.Mad Rush to more Friends:There is a perceived ‘arms race’ between you and your other friends to see who has the highest number of friends on their network.That Show a sign of Addiction. 6.Compromising Offline Social Life:As you get used to communicating on Facebook via messaging, sharing photos and posts, commenting and ‘liking’ others etc, it may come to a point when you get more comfortable socializing online than offline. You become over-reliant on Facebook to fulfill your social needs and may start sacrificing the time spent on real-life meet-ups for coffee with your friends.That’s not healthy. 1.Recognize the signs of facebook addiction. 2.Start questioning what you're doing on Facebook. 3.Decide what is of value on Facebook. 6.Be careful of the race to have as many friends as possible. 7.Avoid being a Facebook automaton. plz like and follow our blog on facebook and Twitter.